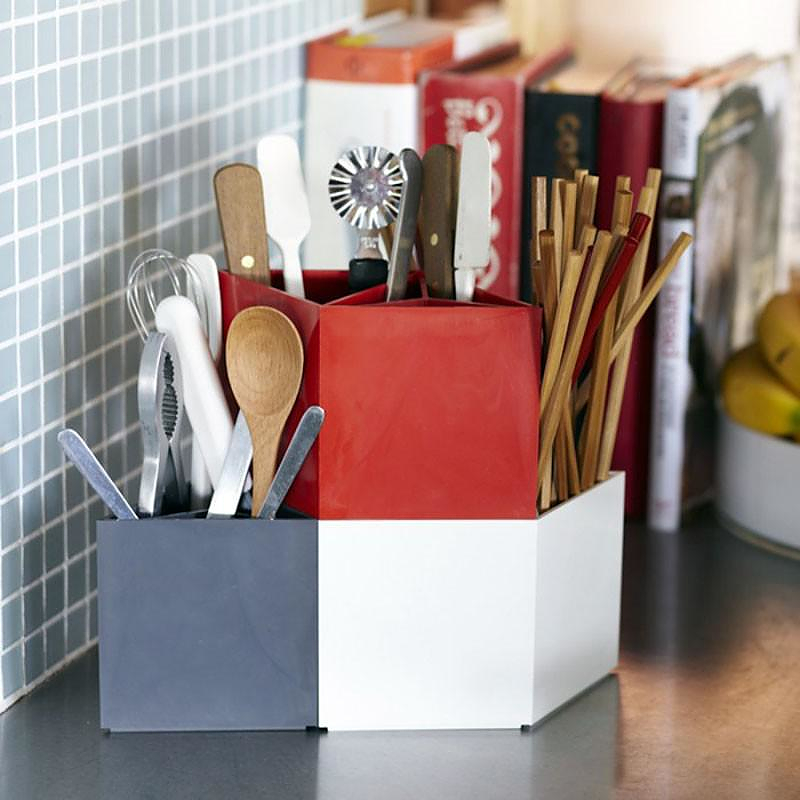 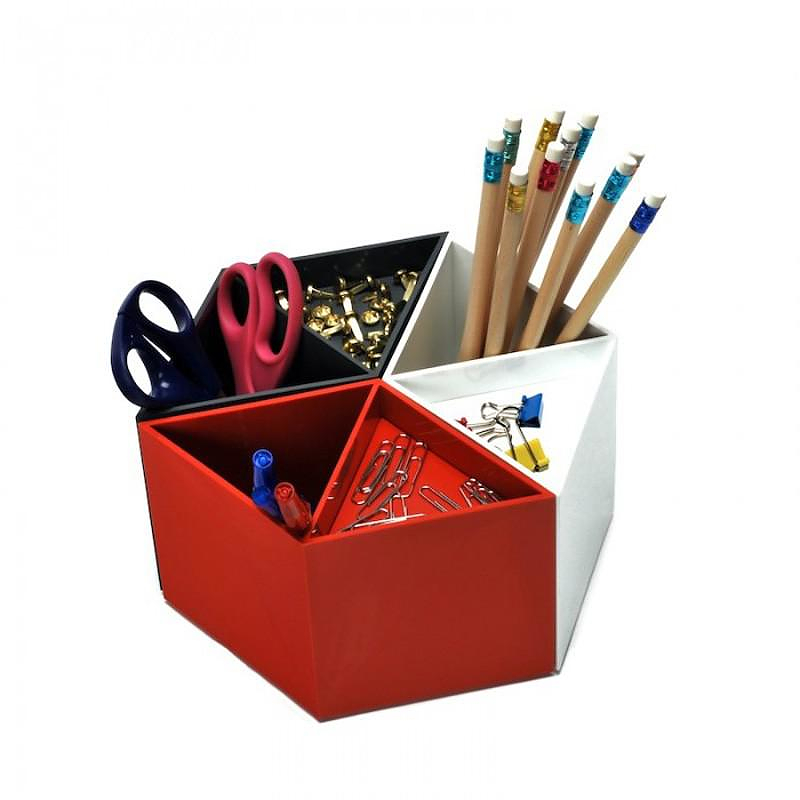 HomeBlogHome DecorRhombins Modular Desk Organizer. 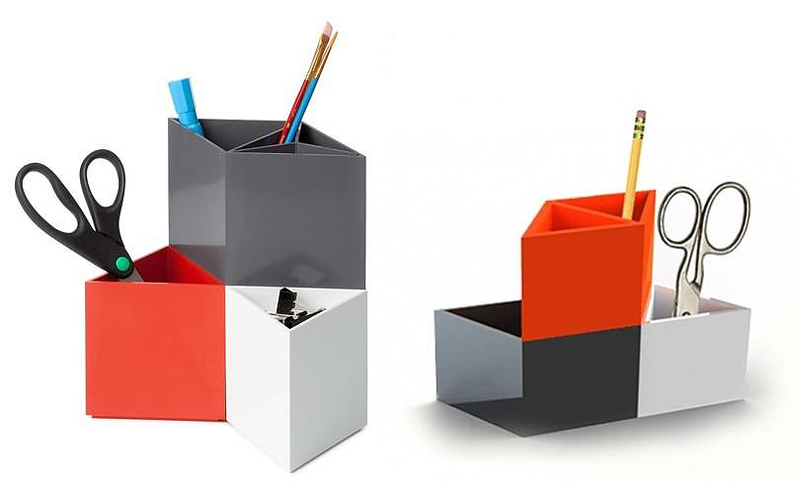 Rhombins is a modular desk organizer, whose design is based on the rhombus shape. 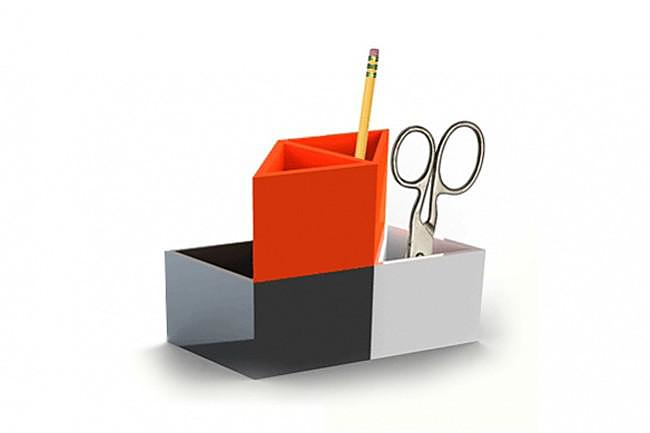 This stylish desk organizer was designed by by Eric Pfeiffer and Scot Herbst of Pfeiffer Lab design studio for California based firm The Utility Collective. 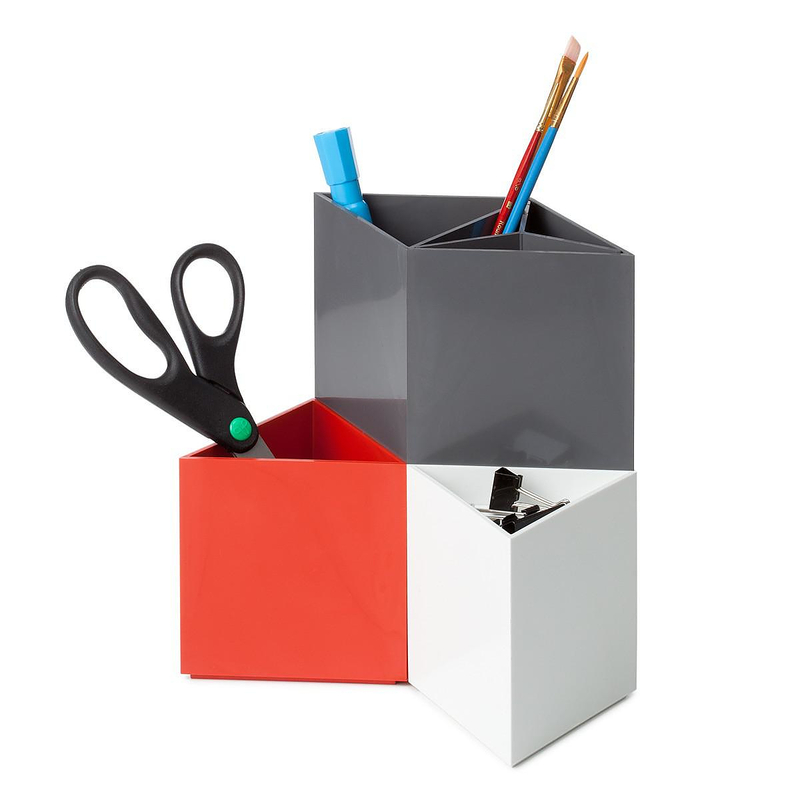 It is a very flexible storage solution as its individual modules can be arranged in a variety of ways to meet your needs. 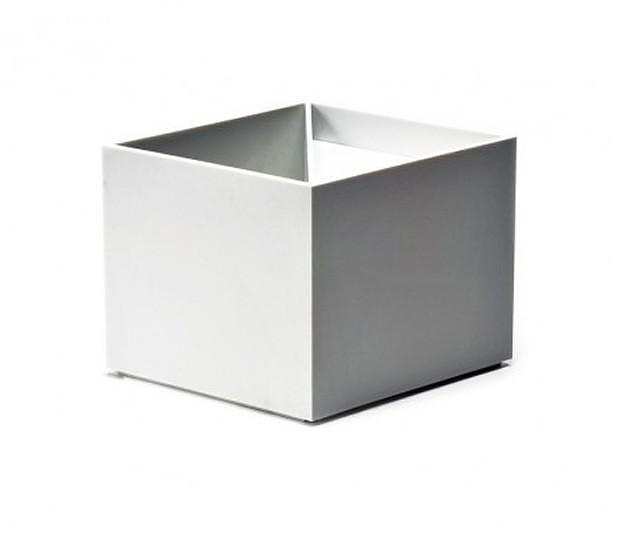 You can place the rhomboid modules side by side, in a line, or in vertical stacks, the possibilities are endless. 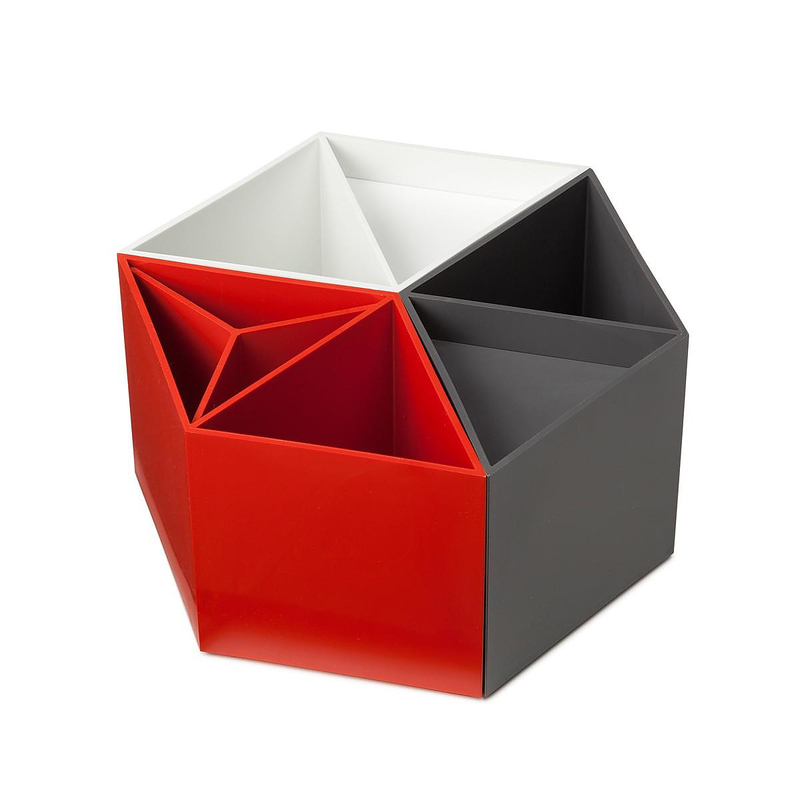 The Rhombins desk organizer brings not only order but also a strong graphic geometry to your desktop. 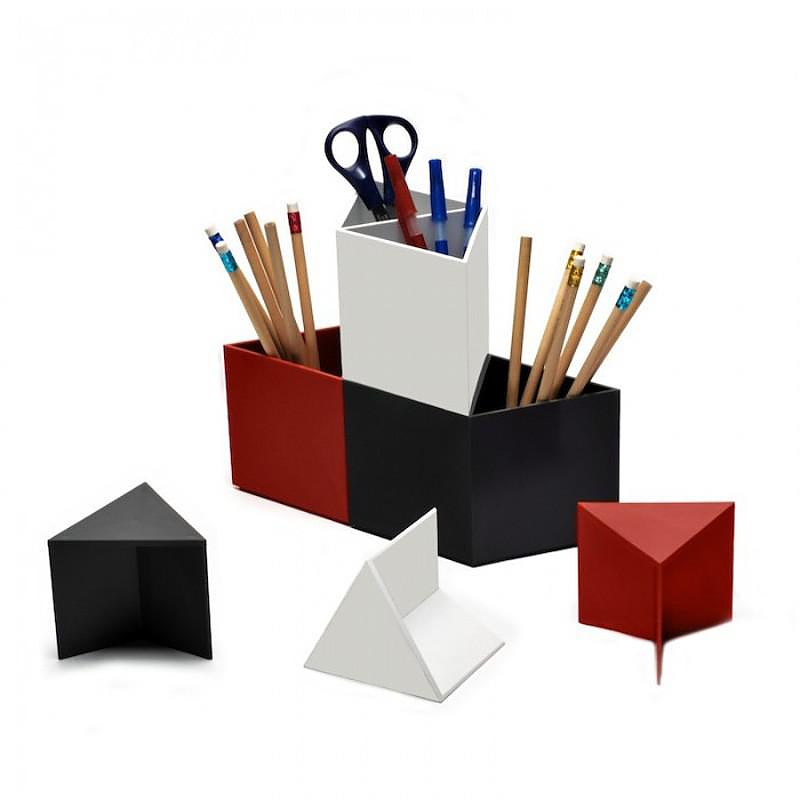 Its geometric shape is stylish and at the same time playful. 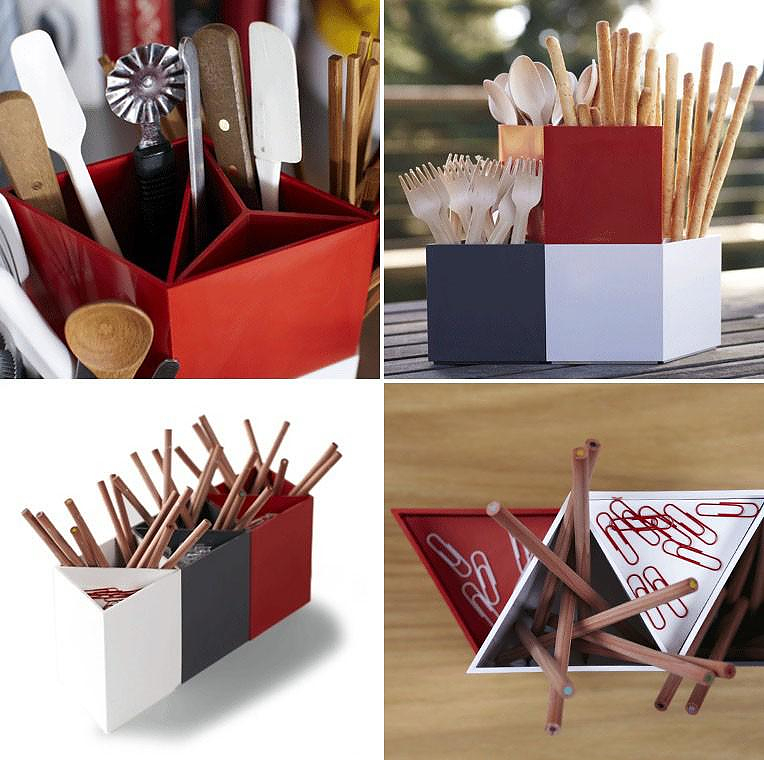 It is made in USA from a material called Cereplast, an eco-friendly plant based bio-plastic. 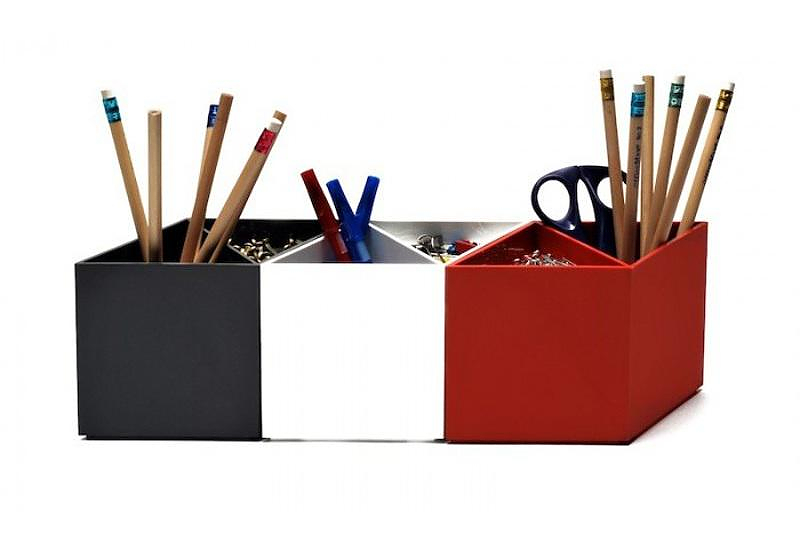 So you can put your chaotic desk in order, while remaining environmentally responsible.